THQ Nordic just announced Desperados III with a 2019 release for PC, PS4 and Xbox One. And who else could take care of the development if not Mimimi Productions, the studio behind the great Shadow Tactics: Blades of the Shogun. First screens and trailer after the jump. Vienna, Austria/ Munich, Germany, August 21st, 2018: The Wild West. A place where the law is made by those with a gun in their hands, and is enforced by the henchmen at their command. A place where death is no stranger and the undertakers are working overtime… especially when people start playing Desperados III. 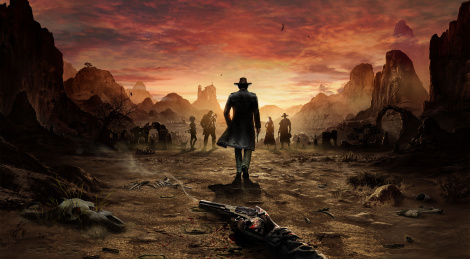 This real-time tactics game, developed by German game studio Mimimi (who earned their spurs with the critically acclaimed title Shadow Tactics: Blades Of The Shogun), lets players command a band of Desperados led by fan-favourite gunslinger John Cooper, who’s hunting down his nemesis. Heavily inspired by the first game of the franchise, Desperados: Wanted Dead or Alive, Desperados III will allow the player to approach each mission with a wide variety of different solutions and routes. As the player’s gang will always be outnumbered, only smart use of both the environment and each Desperado’s unique character skills will guarantee a victorious outcome. Desperados III will ambush your PC, your PlayStation®4 computer entertainment system, and your Xbox One family of devices including Xbox One X in 2019. Quite interesting news, specially since there was already a Desperados 3 game, called "Helldorado". Still, Shadow Tactics: Blades of the Shogun is really great, so it will be interesting to see how well the developers handle the Wild West theme.